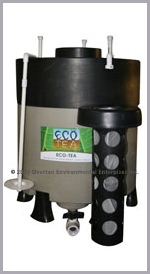 Turf Canada carries OEE’s Compost Brewing Units which creates ECO-TEA™, an actively aerated compost tea. 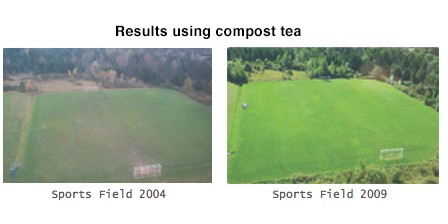 The plant beneficial biology within ECO-TEA™ helps to decrease pathogen stress from bacteria, fungi, nematodes and some insects. This means plants will focus less on producing energy expensive shock proteins which will drastically increase growth rates and yields. • Increase in root function and biomass. • Increase in availability of natural phosphates and iron. • Inoculates plant roots with millions of plant beneficial microbes with just a couple of milliliters. • Increase in plant vigor and chlorophyll production. Improves stress tolerance (transplant, drought, cold, physical and pathogens). For more information, contact us or visit the Overton Environmental web site.